NOTE — THE COMMENTS BELOW ONLY REFER TO A PATIENT WHO HAS ACTIVE VERTIGO & NYSTAGMUS AT THE MOMENT, there in the office (which is pretty uncommon). Patients with a peripheral etiology for their vertigo have an abnormal response. Stroke patients also have a “normal response” [some with cerebellar stroke might have an abnormal response]. 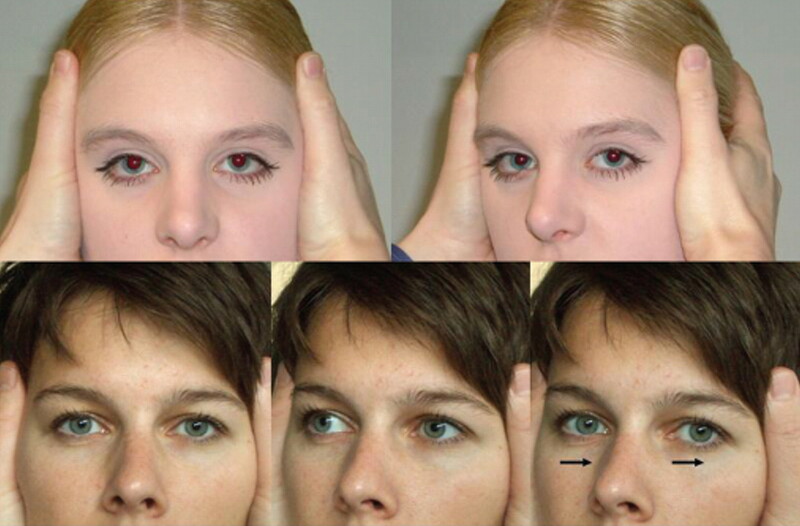 2) Direction-Changing Nystagmus with eccentric gaze. Patient focuses continuously straight ahead. Remember — All the above tests imply that the patient comes in with active vertigo and nystagmus, which is not too common.